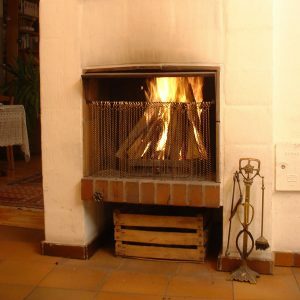 The warmth of an open fire resonates deeply in our species, but 90% of the fire heat goes up the chimney and much of the heat in the room goes, too. If you generated that heat with another system, you’re wasting twice as much fuel. You might consider a fireplace insert instead. Alternately, you can place a wood stove in front of your fireplace. Small Farmer’s Journal has an article on how to do just that. For more, check out this EPA deep dive into fireplaces and fireplace inserts.